The Swing-Out Wall Mount Series cabinets provide a convenient and easy to use solution, perfect for secure networks, small data closets, retail, educational, edge computing, and all areas where floor space is limited. The Swing-Out Wall Mount Series cabinets ship completely assembled which speeds installation time. The hinged, swing out middle section provides easy accessibility to the front and the rear of the equipment while mounted to the wall. The Swing-Out Wall Mount Series cabinets are made of rugged welded steel and have a UL 2416 certified load rating of 300 lbs. 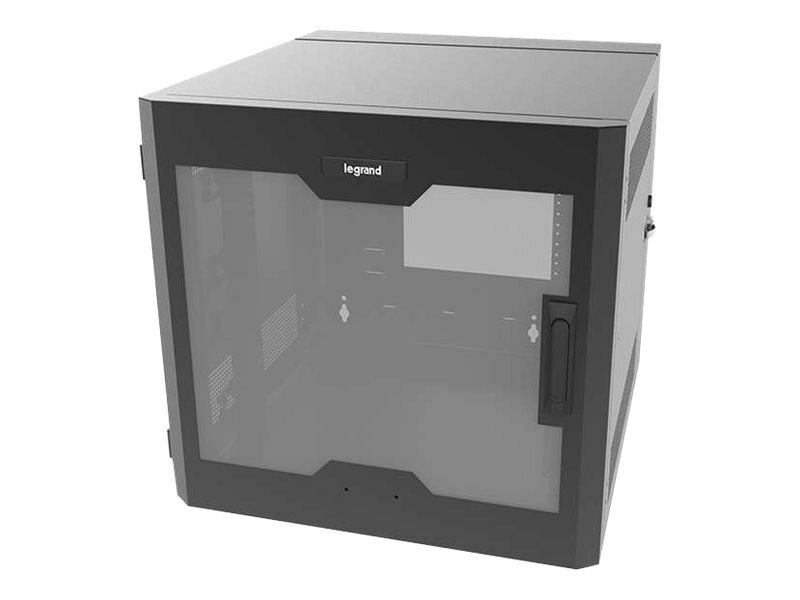 The small form factor cabinets are PCI compliant, have a 23.5" equipment mounting depth and feature a plexiglass locking door that provides security for the installed equipment.